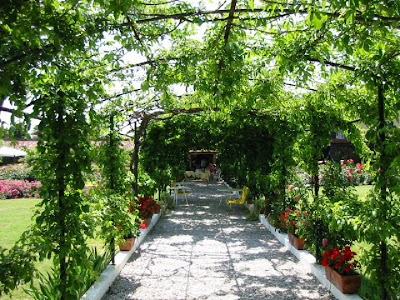 Una Mamma Italiana: Need a drink? The first time I had the pleasure of tasting this cocktail was in Venice 8 years ago! (Yes, it's time to go back) It's safe to say I fell in love with the drink, as do a lot of Venetian tourists, I'm sure...(Ernest Hemmingway and others were known to frequent the place). The drink was born at a well know restaurant in Venice called Harry's Bar, invented by the owner, Giuseppe Cipriani. 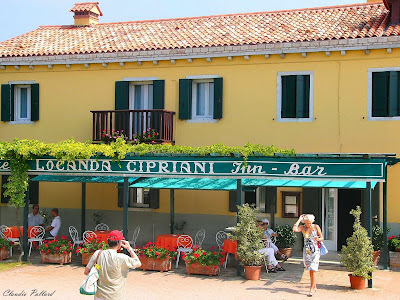 While in Venice, we actually took a boat ride to Isola di Torcello - an actual island upon which is located possibly the most beautifully quaint Hotel Cipriani owned by - you guessed it - the same Cipriani family that founded Harry's Bar (and the Bellini). 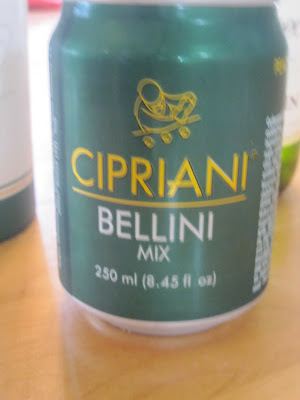 Anyway, the entire experience was amazing, and one of the memories I took home with me was the Bellini. 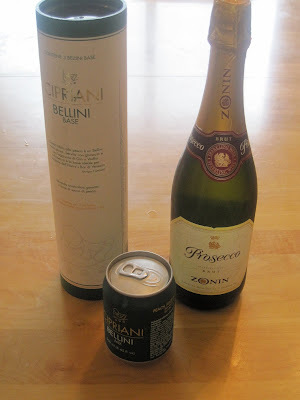 So for Christmas one year, my aunt gave me a bottle of Prosecco with the actual Bellini mix (a canned sparkling white peach juice) to make my very own!! Now there are several variations of this drink, some include pureed peaches, others add different fruit juices...but either way, including prosecco makes it a hit. Try it - I'm sure you'll agree.